Has interest in Lean peaked? If so, how do we know? The answer, of course, comes from Google. The image below is from Google Trends. It shows the level of interest in Lean as determined by global keyword searches on the web from 2004 to April 2014, including a 12-month forecast into April 2015. You can see that interest in “Lean Manufacturing” has declined, “Lean Six Sigma” and “Lean Management” have increased, and “Lean Service” and “Lean Healthcare” have remained about constant since 2006. The forecast indicates a leveling-off for all five search terms. What does it mean? It could mean that interest in Lean has peaked. If so, then we face a challenge of how to renew interest in Lean among those who are familiar with it or who think they “know it,” and generate interest among those who are unfamiliar with Lean. Both pose a challenge due to the overshadowing of REAL Lean by Fake Lean, and leaders who don’t want to learn new things and who accept poor performance – particularly service organizations such as government, healthcare, and higher education. Or, it could mean that people have learned a lot about Lean over the last 25 years, and, as a result, fewer people are searching for information about Lean on the Internet. 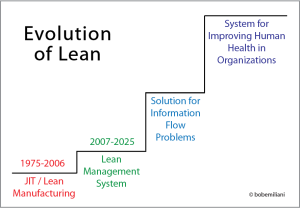 This would suggest that our collective efforts to educate people about Lean – through articles, books, podcasts, videos, training, conferences, etc. – have been very successful. Bravo! Time will tell if we are now experiencing peak Lean. Scientific Management had about a 50-year run, from 1890-1940. Lean management’s run began around 1975. If history is any guide to the future, Lean, as it is known today, will complete its 50-year run around 2025. That would be shame because our understanding of Lean management remains immature, and because Lean has far more to offer in the information age than it has offered to us in the industrial age. 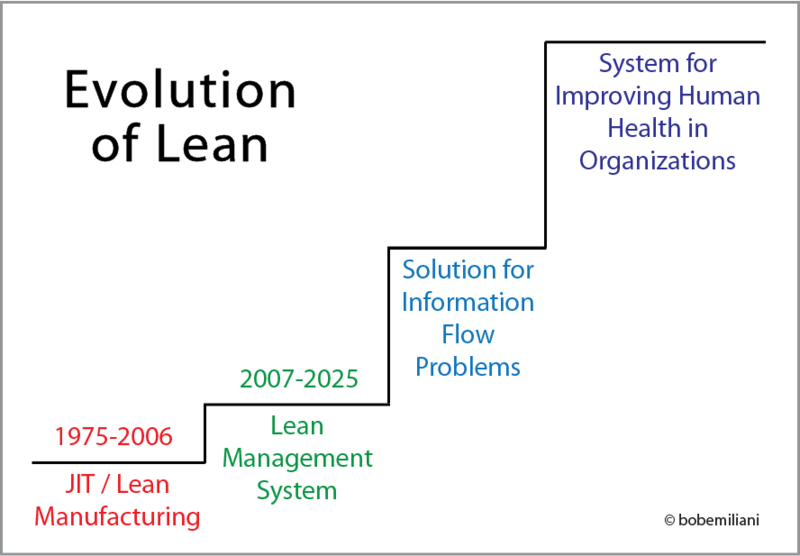 But, this can only happen if we eliminate the long-standing criticisms of Lean and seek to refresh and renew our understanding of Lean.